★★★★★ This is a beautifully crafted necklace and pendant set and the design was well thought out. The pendant has two hearts with the smaller one at the point of the bigger heart and pendant is of good size. The bigger heart has cubic zirconia stones around it that produces clear beautiful sparkle and the smaller heart is rose gold and sterling silver. The letters MOM are two toned and also. You will never regret buying this either for yourself or someone else. The pendant can be worn with other necklace. However, this two toned necklace and pendant compliments each other so I would never change necklace. Necklace length can also be adjusted. Its a beautiful gift for every occasion. Beautiful, beautiful, beautiful....I really love this necklace and pendant set. ★★★★★ I love this necklace I'm giving my honest opinion and this a great gift for Mom's, Wife, Mom's to be. I will highly recommended this necklace. ★★★★☆ Nothing as broken off or anything yet. If I had to compain it would be that its not quite as shiny looking as in the picture. But thats to be expected for the price. 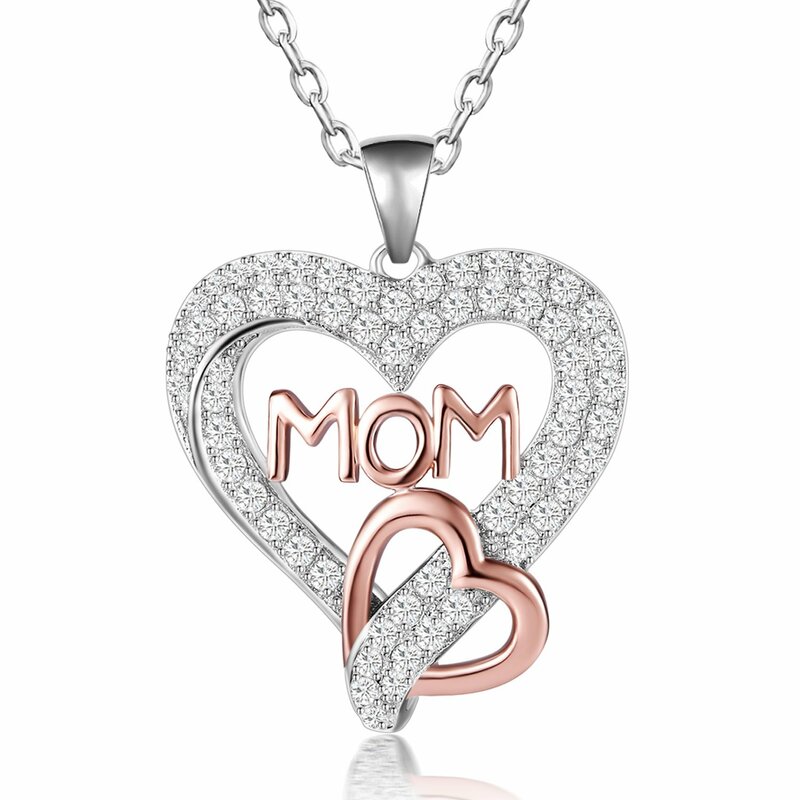 ★★★★★ Mother and Mother-In-Law loved this pendant for Mother’s Day!